Ofo appears to be infringing on the ban on new bikes being put on the streets of Shanghai according to some investigative reporting by the Liberation Daily. 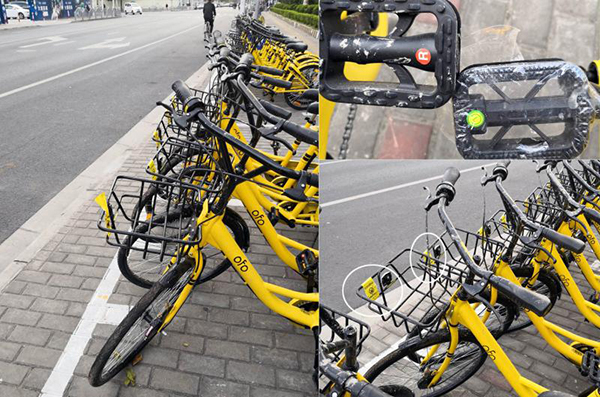 The paper has provided a timeline of new model ofo bikes turning up in rows on the streets of the city yet seemingly muddied up with dirt to give the impression the newly-formed ranks are all old-time Shanghai veterans. A delivery driver told the paper that the depot they bring them from has over 10,000 new bikes. In mid-August, Shanghai’s transport authorities said no to any more new hire bikes being dumped on its streets due to sheer numbers and the chaotic abandoning of the bikes. After tip-offs from the public about bikes starting to reappear, with some of the plastic wrapping still on the components, Liberation Daily reporters went on patrol and found trucks coming into town and offloading bikes like the heady days of July all over again. According to a public statement by ofo, the company has always followed local regulations after the local ban on new bikes. The bikes in question were replacement bikes for older models they wanted to bring out of service in Shanghai. 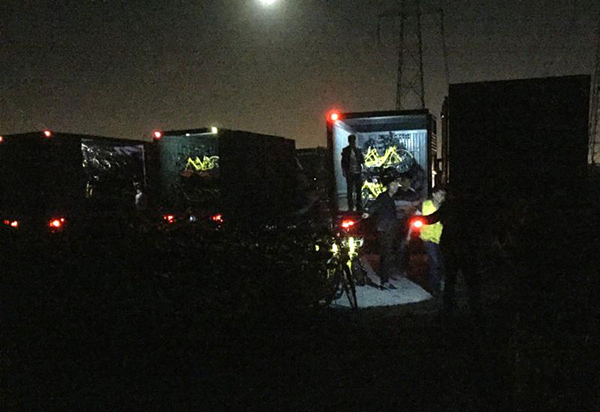 The statement also said that since Shanghai is a logistics hub, many of the bikes reported on were to be sent to surrounding areas outside Shanghai. After a few failed attempts at locating the alleged contraband bikes (they kept being hired and ridden away), the reporters were told of a consignment in a less cycle-friendly part of town—Pudong Beicai—and headed over to find 14 bikes still there. They had been daubed with a bit of mud, but all the components were brand new, there were no signs of the bikes being adjusted by users or showing any wear and tear. And the plastic wrapping and “L” and “R” stickers were still on the pedals. The bikes could be unlocked and used with the ofo app. Reporters then made contact with delivery drivers only to be told that they were indeed bringing in new bikes and the depot they were bringing them from had over 10,000 bikes. 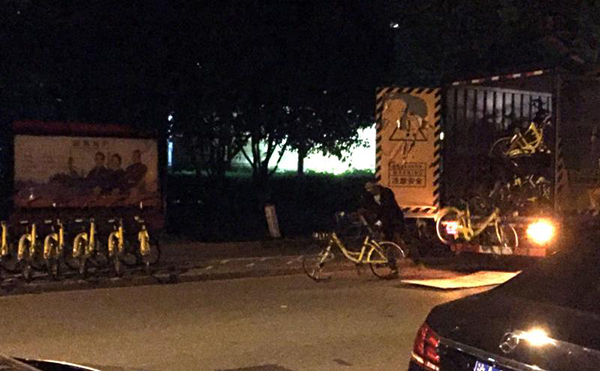 To verify the claims, reporters found the depot and spied on the situation, seeing trucks and large quantities of ofo bikes being moved. A reporter sneaked in to check and found that they were indeed new bikes. Apart from the sea of new bikes, the reporters saw a heap of old bikes which appear to have been mixed in with the new in their rows. They also witnessed workers taking brooms and dipping them in muddy ponds and deliberately dirtying the new bikes. Following the delivery trucks, they witnessed the bikes being put on the streets. Updated, 02 Oct 2017: Now includes response from the company.